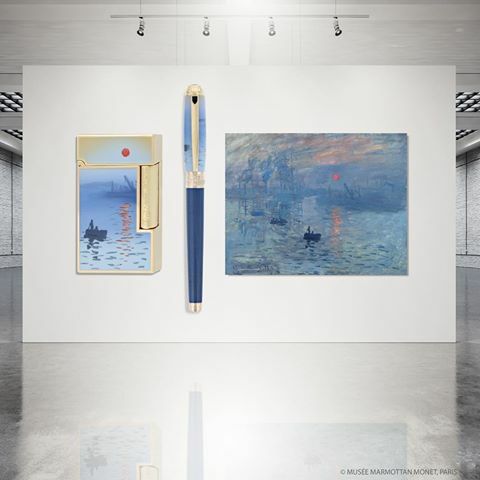 CLAUDE MONET Limited Edition Collection Impression soleil levant. Impression, soleil levant is a painting by Claude Monet first shown at what would become known as the "Exhibition of the Impressionists" in Paris. Painted in just a few hours, this fleeting image is surprising for unusual degree of freedom in its workmanship. Judging that it could not feasibly be taken for a view of Le Havre, he entitled the painting Impression. The term, originally used as painter’s jargon, was on everyone’s lips by the middle of the century. It described landscape painters’ growing interest in rendering an atmosphere or impression, forgoing a detailed depiction of nature. Since then the term has referred to the group formed by Monet and his friends. 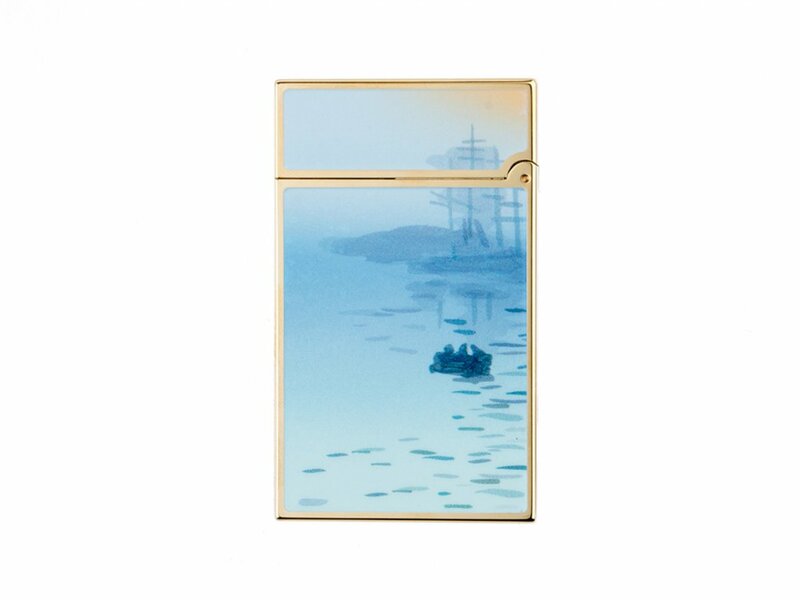 Today, Impression, Sunrise is a symbol of this movement. The original painting is currently preserved in the Marmottan Monet Museum in Paris, the universal legacy museum of Claude Monet. Recognized as the start of the Impressionist movement, “Impression, Sunrise” was painted on November 13, 1872. This year also saw the founding of S.T. 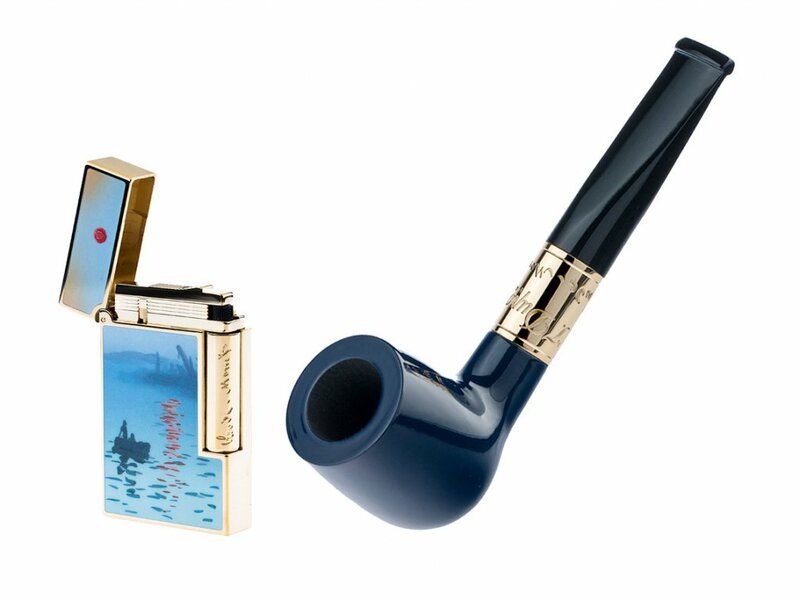 Dupont by 25-year-old Simon Tissot-Dupont, a visionary artisan equally immersed in the era's profound creativity and innovation. 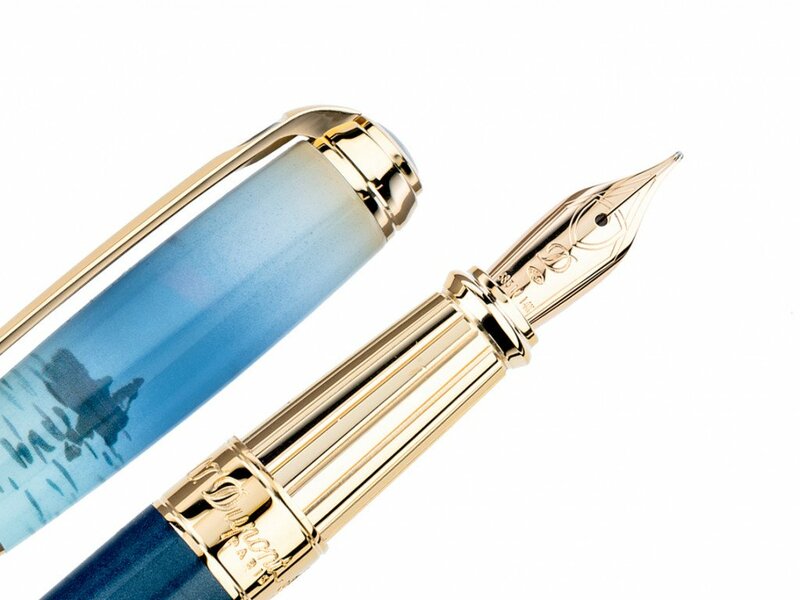 Drawing on its own exceptional artisanship, this Limited Edition highlights a Line 2 lighter and writing instruments featuring blue-flamed natural lacquer with yellow gold finishes. On each piece, Monet's “Impression, Sunrise” is meticulously hand painted in pigments identically reflecting those of the original painting. 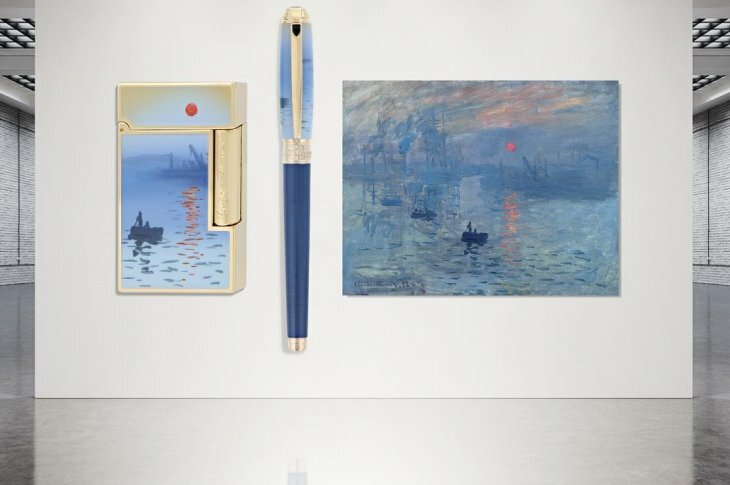 The magnificently shifting blues together with the orange of the rising sun make this a particularly luminous collection.